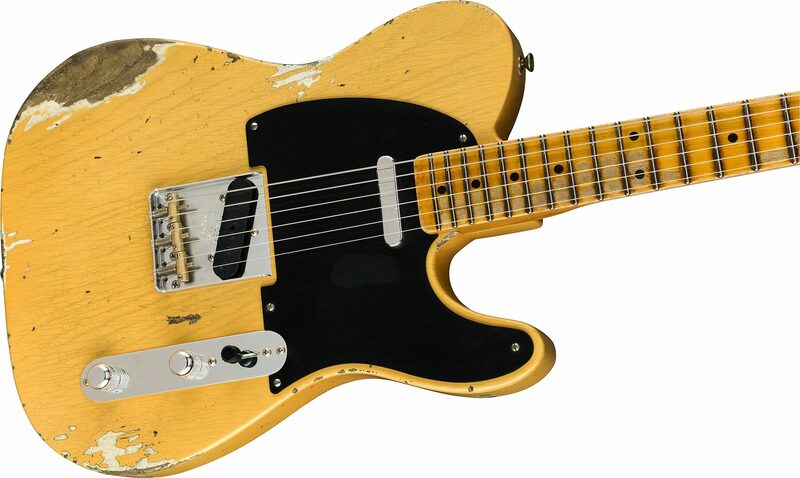 Even though there were earlier designs, 1952 is considered the first year of production for the venerable Tele, and the Fender 1952 Telecaster Relic is a premium example of this design, slightly tweaked for modern players. All the classic “Blackguard” touches are here: 1-ply Black phenolic pickguard, ash body with classic Blonde finish and medium-tint riftsawn maple neck with “ ‘52 U”-shaped profile. 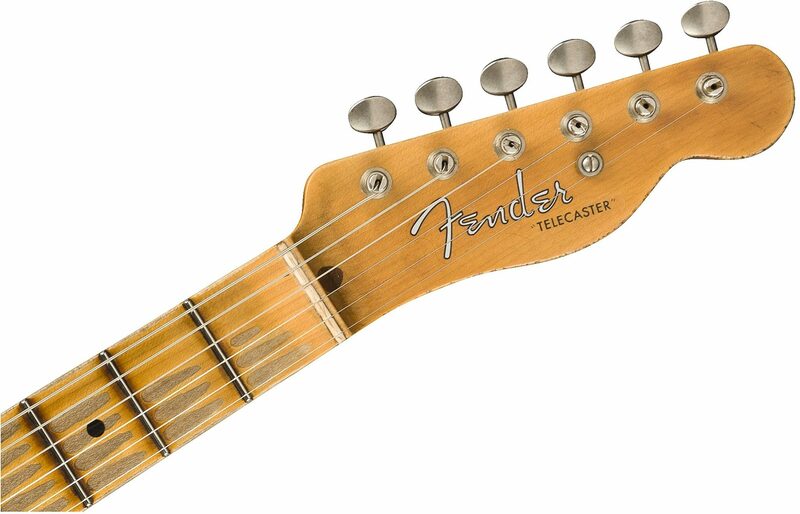 The first Telecaster had some subtle changes from 1951, including a slow transition from slot-head screws to Phillips-head, reflected here by both types appearing (as happened on some models). Three different lacquer finish packages are available, from moderate playing wear, to this one – a Heavy Relic treatment designed to evoke decades of the most punishing play and touring. 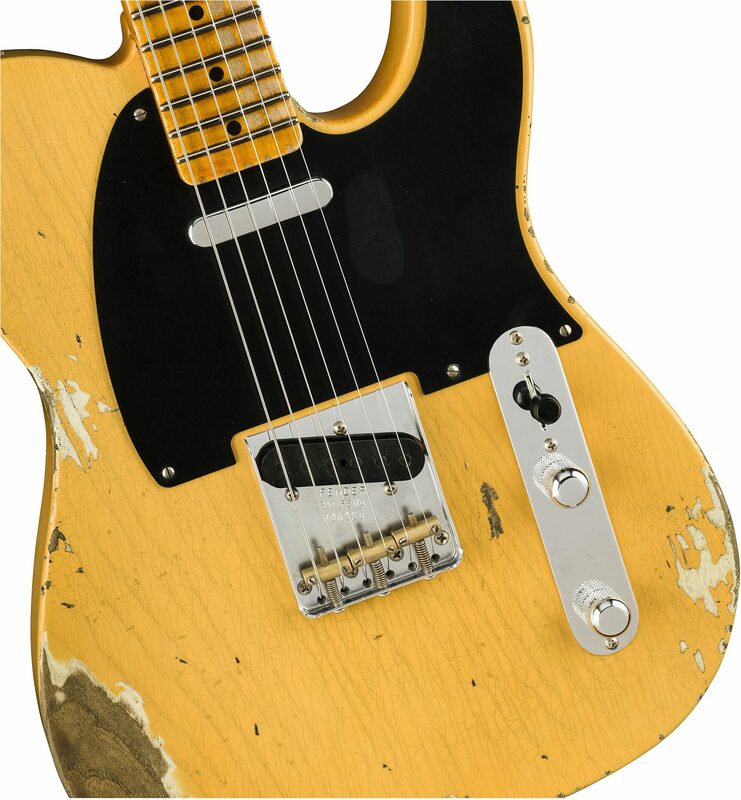 For the fattest, gruntiest tone ever heard from a Tele, this one is armed with a pair of Hand Wound ‘51 Loaded Nocaster single-coil pickups, tied together with Fat ‘50s Tele wiring and a 3-way pickup switch. Other features include a 9.5”-radius fingerboard, 21 6105 frets, ‘51/’54 bridge with brass saddles, vintage-style tuning machines, bone nut and round string tree. Includes deluxe hardshell case, strap and Certificate of Authenticity.